The registration for the entry drawing procedure for a chance to participate in the 2019 BMW BERLIN MARATHON has started on October 17 and ends on November 7, 2018. The results of the drawing will be announced between November 29 and December 3, 2018. The registration fee is €125. 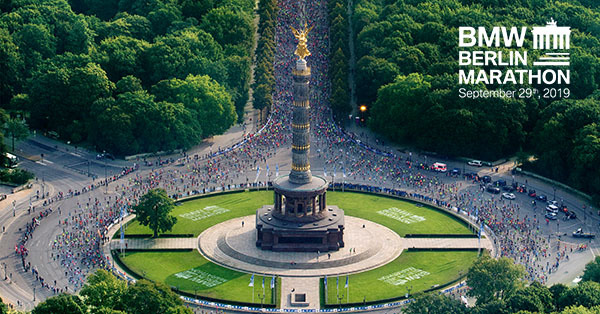 The 2019 BMW BERLIN-MARATHON will take place on September 29. You will find further information about registration and other paths to starting spots in this newsletter. 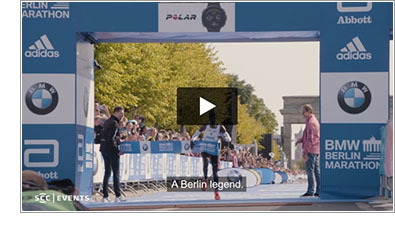 Immerse yourself in the fascinating world of the BMW BERLIN-MARATHON and enjoy our campaign video „Be a Berlin legend”. 2. Poncho or clothing bag? The only way to accommodate the overwhelming interest in the race both nationally and internationally is to have an entry drawing. Everyone then has the same chance for a starting spot when there is a time frame to register (October 17 to November 7, 2018). The limit of participants remains at 44,000. Registration for the entry drawing is possible during the period between between October 17, 2018 (12:00 noon CET) and November 7, 2018. It does not matter when you register within that timeframe, so feel free to take your time.Your personal registration is binding. For the 2019 BMW BERLIN-MARATHON we are offering entry drawings for teams of 2 to 3 persons. You can either enter the drawing as an individual or as part of a team. It is not permitted to enter both drawings, the team drawing and the individual drawing. If you do attempt to register for both drawings, your data will be removed from the individual drawing and only registered teammates will be entered into the drawing. As in the past, both German and international tour operators will be offering race spots as part of a travel package (e.g. with hotel and/or travel). In addition, a contingency of race spots will be reserved for select charity partners under the motto “Running for a good cause”. In partnership with the RTL-“Spendenmarathon” (charity program of RTL Television/Germany which is collecting millions of Euros each year to help children in need) the registration for an additional number of 1,000 slots starts on December 5, 2018. The amount of donations will be donated in full to a charity project for Berlin children. 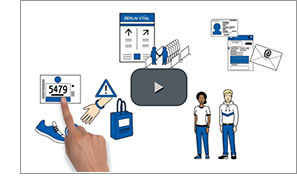 All runners in the Jubilee Club – those who have finished the BERLIN MARATHON at least 10 times – do not need to register for the entry drawing. They will receive a special email in January 2019 explaining the registration process. Anyone who finished an AIMS*-certified marathon in the last two years (2017/2018) under a specified time and can prove it with a list of results or race certificate qualifies to receive a starting spot and does not have to register for the entry drawing. Further information about the registration can be found here. One relevant question during the registration process is: Do you want to save time and long ways at the clothing drop-off before the start and after the finish? If you forego the clothing drop-off, after the finish line you will receive a warming poncho that can be reused at many occasions. It’s your choice. The choice between clothing bag and poncho is binding and cannot be changed after finishing the registration process. Our interactive simpleshow explains this in just a few minutes. Everyone still remembers the new world record and the excellent weather conditions of the 45th BMW BERLIN-MARATHON. But we are ready for the new season: you can register for the BMW BERLIN-MARATHON 2019 beginning from 17th October 2018 and get prepared for the upcoming season. As one of the world´s biggest running events, Berlin is pleased to host runners from all over the world, who run to the finish line under loud cheers of energetic spectators. BMW is excitedly looking forward to the next year in running with a lot of emotional moments and to a reunion with you all in Berlin in 2019. BMW raffles several attractive prizes for the BMW BERLIN-MARATHON 2019 at www.bmw-laufsport.de. Take your chance and you might win e.g. a starter ticket for the next year with a little bit of luck. Congratulations on your strong performance at the 45th BMW BERLIN-MARATHON 2018.Your training was worth it, you were fascinated by the event and you couldn‘t get enough? Take part and register now for the BMW BERLIN-MARATHON 2019. You need further motivation for the next year? You need someone you can run your long runs with and exchange your experiences? 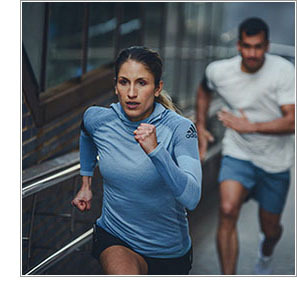 Join one of our worldwide adidas Runners Communities and become an adidas Runner. You can find more information here. 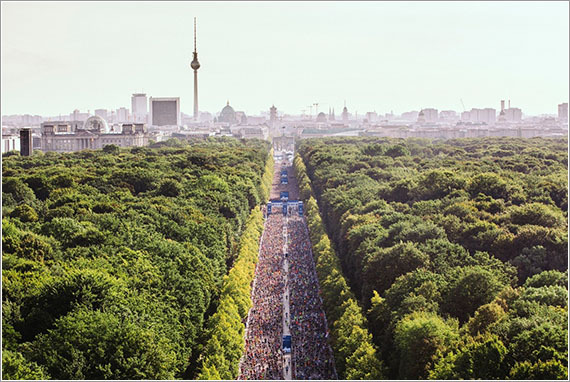 Guarantee you place in the 2019 BMW BERLIN-MARATHON! 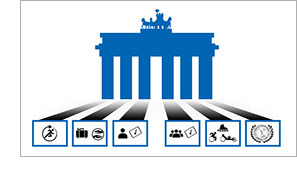 The Realbuzz Group are the official Charity Partner of the BMW BERLIN-MARATHON. We work with hundreds of UK and International charities who provide guaranteed BMW BERLIN-MARATHON places for fundraisers. What could be better than securing your exclusive entry in the race of a lifetime while raising money for a cause close to your heart? Why wait? Find your guaranteed charity place NOW on the charity listings. Let the Runtastic Running & Fitness app help you get ready for race day. Do you have your eyes set on a target time for the BMW BERLIN MARATHON? Use a Runtastic Training Plan to help you make your goal a reality. Aside from measuring distance, duration, speed, elevation gain, etc. — features like the Voice Coach make Runtastic the most motivating and helpful training buddy. Let’s get race-day ready together! 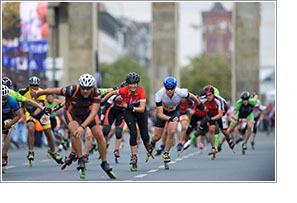 The inline skating marathon will take place on Saturday, September 28, 2019. Registration starts on November 8, 2018 and ends at the end of August, 2019. More Details on our website. For skaters, the minimum age of 17 years set by the World Federation applies.